Jacqueline Lerat worked alongside her husband Jean Lerat (1913-1992) for forty-seven years. Initially they set up a studio in La Borne in 1943, revitalising the area’s wood-fired ceramic traditions and producing functional pieces. 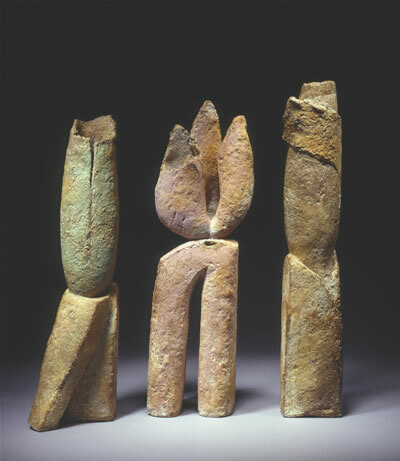 In 1955 they moved to Bourges, building a new wood-firing kiln and beginning to create more sculptural and abstracted works. 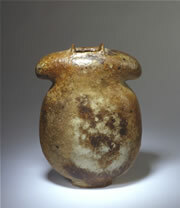 Their collaboration in ceramics is considered to be among the most important in post-war France. Their teaching at the Ecole Nationale des Beaux Arts in Bourges has influenced new generations of potters. 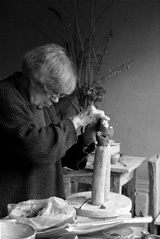 Jacqueline continued to live and work in their studio in Bourges after Jean died in 1992 until her own death in February 2009.